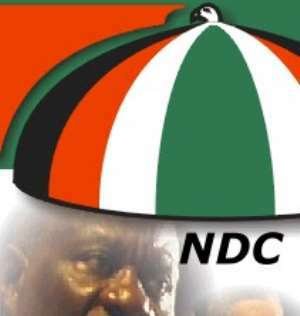 A case could vbe made for Ghana's main opposition party NDC: That it's spare time from now up to 2020 to straighten its rough path and catch up with the ruling NPP. That the governing NPP could stumble or have missteps along the way. One, if the NPP fails to disband vigilante groups. Two, if the ruling party fails its fight against graft. Three, if it fails its war against Galamsey (illegal mining). And four, if 'Dumsor' (power shortfalls) resurrects. Also, one could argue that it's too early, perhaps too soon to make such predictions. Indeed, those are fair points. But does the party have what it takes to stage a comeback? The foregoing question crossed my mind after watching Vice President Dr. Mahammadu Bawumia's town hall meeting on Wednesday 2, April in Accra. The economist turned politician has increasingly become NDC's nightmare. When Bawumia speaks NDC shakes like a leaf in a stormy weather. "Many may not appreciate how much work has been done by this government [NPP]. But if you ask the question: How do you take an economy which is in a deep fisical hole, with no meat on the bone, in high deficit, high interest rates and high debt burden?" Then you have to give that team credit rather than whine like a limping bird. I could hear him say that at the end of that winding question. The picture he paints above depicts a shambolic economy. You may also view it as an economy that finds itself at the brink of death. And this is why Dr. Bawumia who's head of the Economic Management Team does it better perhaps than everybody. He takes his audience on a ride through an economic road wrought by rumps and potholes. And he tells them, this is what our government inherited from the Mahama-led-NDC-administration. I get it my people (referring to his audience). I know you, including millions out there-- watching me now across the world are aware of the situation. From where you sit it might seem an old wound but the cut is deeper than the eyes can see and the mind can imagine. So to help them understand it better and appreciate the situation, he employs these two metaphors-- a 'deep hole' and a meatless bone in the presentation. A 'deep hole' means an economy drowned in abyss as a result of mismanagement and incompetence. Whereas a 'bone with no meat' could be likened to a malnourished person-- 'Kwashiokor'. Or one wearing the proverbial Rawlings' chain. It would take a more competent team. In other words a government that has the economic clout to do so. Also, Dr. Bawumia makes it clear that the NDC had no solutions then and has no answers now to save the nation's economy. Like how do you rescue 'an economy which could not pay basic obligations such as teachers and nurses training allowances, an economy with a weak banking system, an economy which was at the verge of collapse and at the same time you reduce 17 taxes, implement Free SHS, restore teaching/ nursing training allowances..? His response to that question might read like this --we did it because we're competent. And you'd think that was the end of the laundry list...But he isn't done yet. "We also introduced NABCO and many other social interventions. We reduced the budget deficit and increased economic growth," he says. And he simply wraps it all up with this single quote: "It takes a competent management." Indeed, I think, this is what NDC strategists, surrogates, spin doctors and pundits would have to deal with from now up to election 2020. Remember his address in 2016 on 'the state of Ghana's economy? I think this should be a great concern to a major party in opposition. Already, the likes of Dr. Tony Aidoo---a leading member of NDC have alluded to this fact. The outspoken former envoy to the Netherlands views Dr. Bawumia as NDC's tormentor or a pain in the neck. So can the NDC outdo Akufo-Addo gov't? And can the party stop 'Speedy Gonzalez' Bawumia in his tracks? That remains to be observed in the months to come. In 2016, after Dr. Bawumia's 'State of Ghana's Economy Address' then Vice President Amissah Arthur vowed to pigeonhole his (Bawumia's) assertion that the economy was in shambles. However, that challenge never saw the light of day. And I think the man that stepped up to speak for the Umbrella family didn't underperform. Hold your horses you cannot runaway with your 'Kenkey and Fish' analysis cries Isaac Adongo MP for Bolgatanga Central. Mr. Adongo who was speaking at a lecture by the minority to reveal to Ghanaians the true state of Ghana's economy by the NPP government explained that while the Elephants were celebrating the stability of the cedi, which he believed was stable for a very short time, the local currency was also depreciating at the same time. I call it the battle of 'Metaphors'. Yes, as the vice president used the 'the boots and 'Chaley Wate, ' 'a deep hole and bone without meat' to ilustrate the state of the economy and mock the opposition party. His counterpart Mr. Adongo employed 'Kenkey' and 'Fish, to characterise his opponents' presentation. He also ridicules the vice president's town hall meeting and describes Dr. Bawumia’s presentation as a "hat-trick of embarrassment." According to him, Ghana’s economy had been rated the 4th worst economy in the world and therefore there was nothing relevant to celebrate about, as the Vice President and ‘his people’ did on Wednesday. “We are the second in the whole of Africa when it comes to debt and so why do we celebrate these goals? He rhetorically asks. Mr. Adongo jabs the ruling party with this quote: "Ghana’s economy was rated the 4th worst in the whole world by the UN and we are celebrating this embarrassment with kenkey and fish,” he said. Meanwhile, the Editor-in-chief of Crusading Guide newspaper Abdul Malik Kweku Baako says the NPP administration has performed better than its predecessor- NDC. "There's no doubt that the Akufo-Addo administration has done far better than the Mahama administration. It's as simple as that the figures and records support it," he said. Mr. Baako backed his statement by making reference to the Executive Summary report on the National Economic Forum organised by then NDC government at Senchi in 2014. "Almost every government leaves with a less than desirable macroeconomic situation and the government that will succeed it spends the next one to two years bringing the economy back from the brink." That was President Mahama's quote in Senchi and it was captured in the report. Mr. Baako says the tacit admission by the former president speaks volumes. But another veteran journalist has weighed in to the ongoing debate. Is Ghana's economy bette now than it did two and half years ago under Mahama's presidency? The Managing Editor of the Insight newspaper, Kwesi Pratt Jnr has raised legitimate concern regarding prices of food and petrol. Mr. Pratt argues that the prices of those commodities are more expensive than they were before last year. He's therefore charged Ghanaians to consider first their living standards before they hail such figures. He also supports Mr. Kwame Pianim in his assertion that it is meaningless to just fetish economic figures if it does not translate into something tangible for Ghanaians. Early on, Mr. Pianim a renowned business economist said: "I am not going to contradict the Vice President. All that I'm saying is that people don't eat words. They see the exchange rate reflects in their cost of living because prices will go up. Let's stop talking and focus on addressing the fundamentals." The fundamentals are supply and demand for foreign exchange. According to Mr. Pianim the fundamentals affecting the cedi are largely influenced by Ghana's dependence on imports. II'l leave you herewith a few questions to muse on as we continue this debate on the state of our economy. Where were we two and half years ago regarding the state of the economy? Was living condition at the time better of than it is today? How often did you get power in your respective homes? How about water? What would you say about galamsey and Free SHS lifeline? Have things improved for better or they've gone from bad to worse?